The SP Sport 01 unites three key performance properties in one innovative tyre. The asymmetric tread features three distinct zones that give you an ideal balance of sporty handling, high aquaplaning resistance and smooth driving comfort. Experience smooth and stable motorway driving. 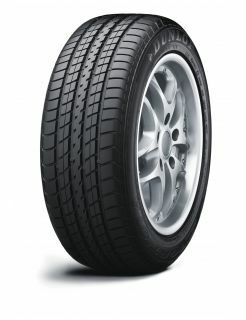 The tyre keeps its shape at high speeds for precise cornering control. The asymmetric tread pattern increases stability on straight roads and around corners. The full silica compound ensures high levels of grip and braking power in wet and dry conditions. Special blocks in the tread rapidly disperse water in heavy rain conditions. Enjoy a quieter ride thanks to a block design that cancels out irritating frequencies. The tread pattern is optimised for even wear, increasing comfort and prolonging tyre life.